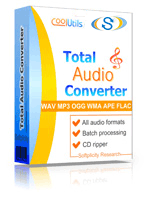 By the way, if you happen to need some format that Total Audio Converter doesn't support, please write to us. We will do our best to meet your wishes. Which encoder/format is the best? You should test them yourself, and choose which one best suit your needs.